It’s here! It’s here! Our first eBook is now available!! On sale now until the end of November for the low, low price of only $3!! 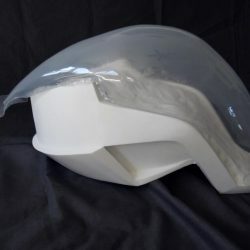 Do you love costumes and props that light up, but when you hear the words “Series” and “Parallel” you think “TV shows” and “Alternate Universe”? Have you always wanted to add that extra zing to your projects with some super cool lighting, but haven’t known where to start? 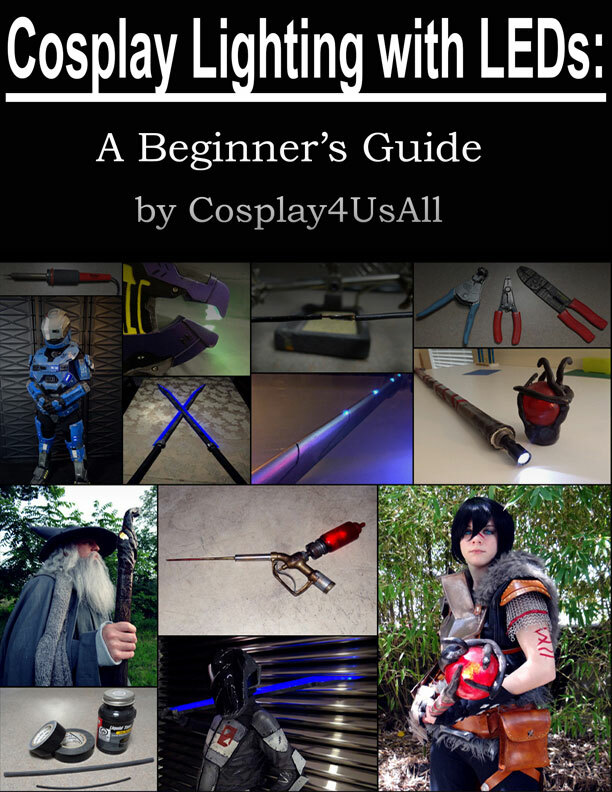 Well, you’re in luck because we just finished our first eBook and it is all about adding lights to cosplays! In our eBook you will learn about wiring and soldering, different kinds of LEDs and how to choose which ones work best for your project, how to wire those wonderful LED strips so they last longer and shine brighter, plus a whole bunch more! Don’t worry that this eBook might be over your head if you have never worked with LEDs, wiring or soldering. This is a beginners guide, with things broken down and explained in such a manner that if you have never even seen a soldering iron before, you will have all the knowledge you need to be able to wire your own LEDs by the time you’re done with this book. It also includes handy links to products you can purchase at various websites, to get you started on your own project! This book is perfect for the person who wants to used LEDs but has never done it before, or doesn’t know where to start. The book is about 56 pages and it easy to read. I love the charming little pictures they put inside to make you laugh and also the diagrams they give you, if you are a visual learner like me, that really helps. the best part is that the book tells you what you need to buy, IN FULL DETAIL, and not, “buy some wires”. Also, where to buy them from. 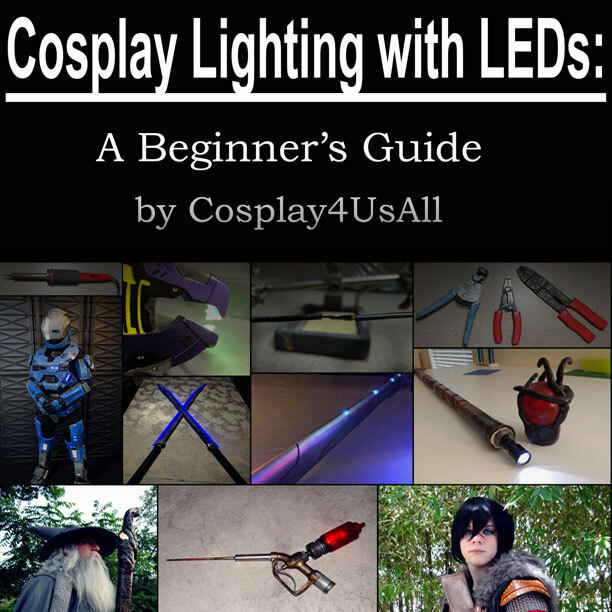 This book is perfect for the LED beginner, but ask has something special for the hardened cosplayer. I give this book 5 stars. It’s has filled in the gaps of what I should be going that just looking on Google wasn’t clearing up.